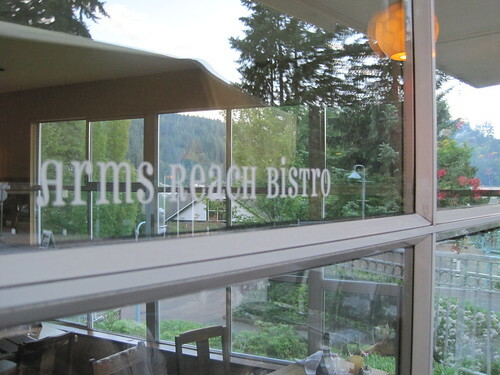 I had written reviews of Arms Reach Bistro before, when my blog was hosted on Blogger (the horror!) but I haven’t updated my review, even though I have been again to Arms Reach Bistro several times afterwards (ARB is where JT took me to celebrate my PhD defense too). Deep Cove is (as most of my friends know) one of my most favorite locations in the Greater Vancouver area (located in North Vancouver). It is well known that I love North Vancouver. Many of my good friends live there, and there are plenty of gorgeous locations to have a lot of fun in the North Shore. 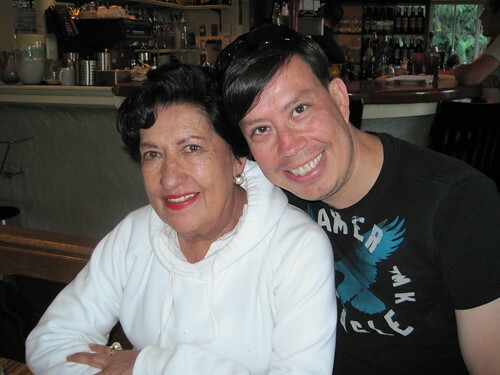 Since I absolutely adore Arms Reach Bistro, I figured I had to bring my Mom here for dinner (besides, we were already in Deep Cove, so it made perfect sense). My Mom ordered Spicy Spaghetti with tiger prawns and handmade chorizo sausage tossed with chillis,lemon zest, tomato sauce and fresh basil ($16). 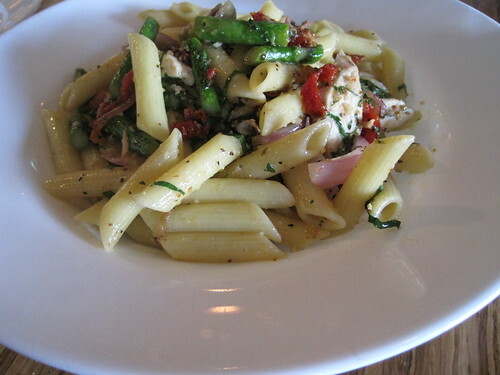 I ordered Penne Chicken with asparagus, sun-dried tomatoes, Caprine goat cheese, extra virgin olive oil and basil chionade ($16). Given that I don’t really eat cheese (if you have seen me eat cheese it’s been pretty much against my will and because I have been offered and I feel guilty turning it down), I asked if they could remove the goat cheese and add capers and olives instead. They kindly obliged and my dinner turned out AMAZING. Looks and sounds like a wonderful place to add to my 2010 Bucket List! You totally should come here for dinner, Peter! They even have a Top Ten list of what you should do at Deep Cove. I live near the Arms Reach – it by far one of my most favourite restaurants ever! I have an exclusive discount code for The Network Hub New Westminster new Passes. Check out the terms and conditions here. Copyright © 2008. All right reserved. Theme by deniart. Customization by jkparker.